Let’s have a quick look at the beautiful bride. 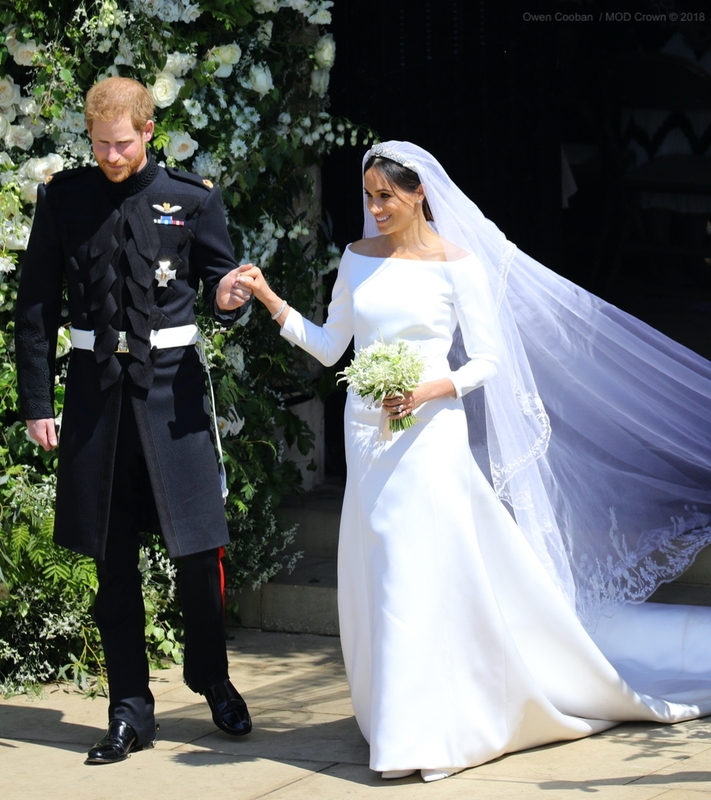 Meghan’s dress was designed by British designer Claire Waight Keller. Ms. Waight Keller is the first female designer of French haute couture fashion house, Givenchy. 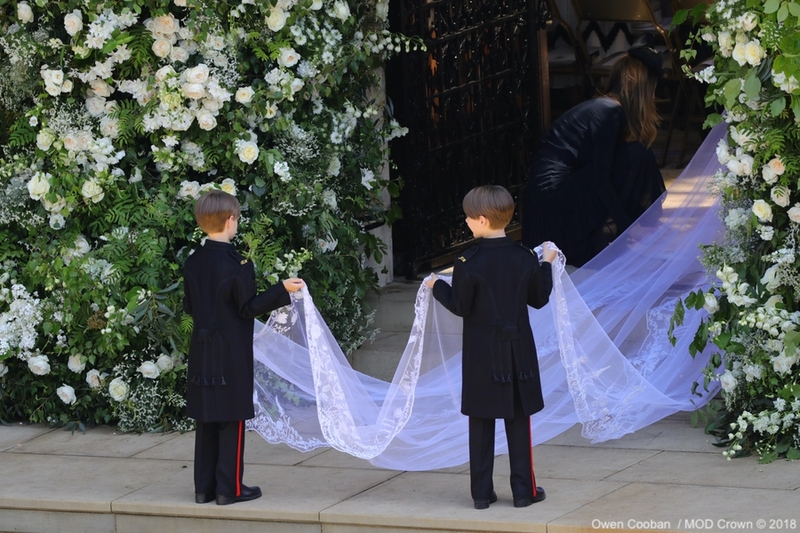 Ms. Waight Keller created Meghan’s stunning five-meter long veil too. 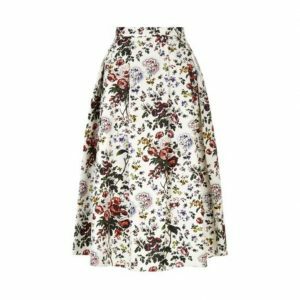 The designer trimmed the veil with hand-embroidered flowers. Each flower represented one of the 53 Commonwealth Nations in a nod to Prince Harry’s new role as Commonwealth Youth Ambassador. The designer also included the California Poppy to represent Meghan’s home state in the USA. 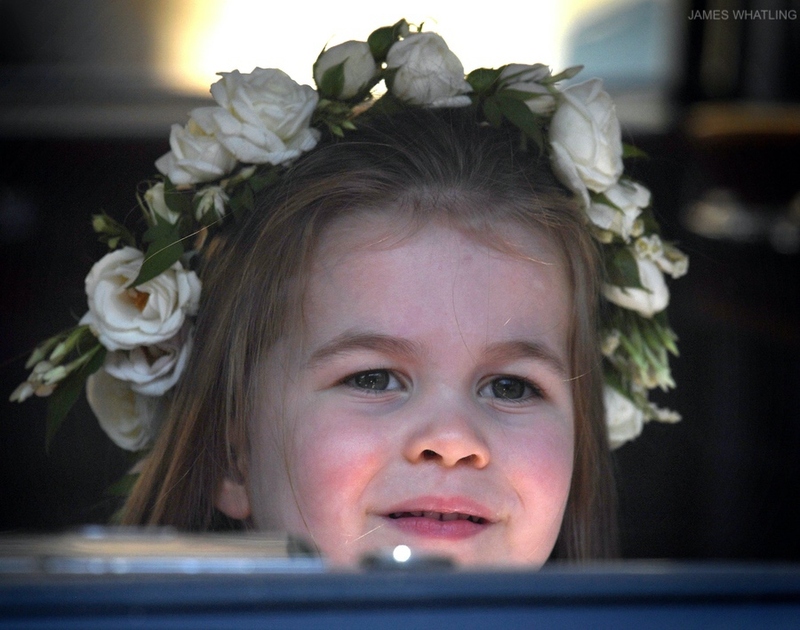 Two of Kate’s children had very special roles in the ceremony. 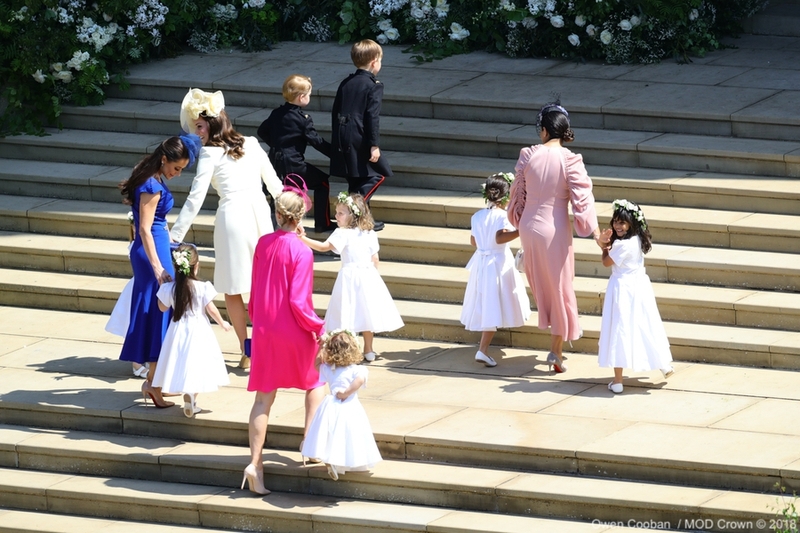 The youngsters joined some of Harry and Meghan’s friends’ children and godchildren. 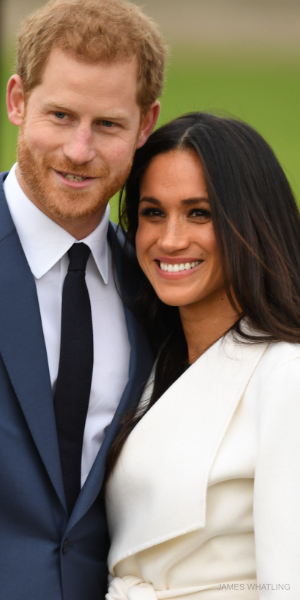 If you’d like to learn more about who is who, you can read the press release on the Royal website. 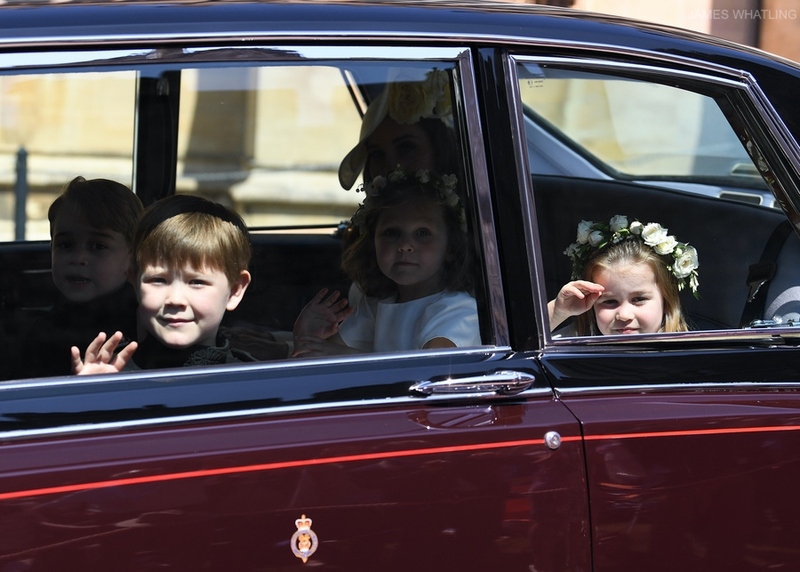 The page boys wore miniature versions of the Blues and Royals frockcoats worn by Princes Harry and William at the wedding. As a special memento, each page boy had their initials embroidered in gold on the shoulder straps. 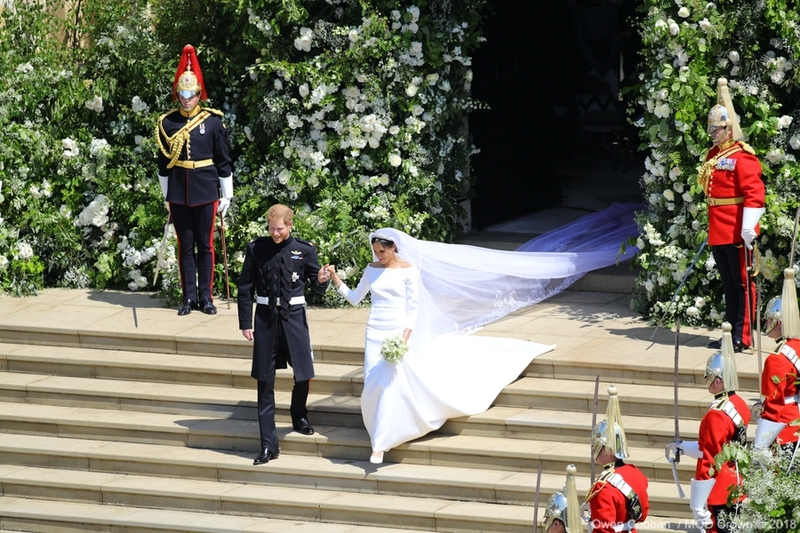 The bridesmaids wore white dresses also designed by Clare Waight Keller. 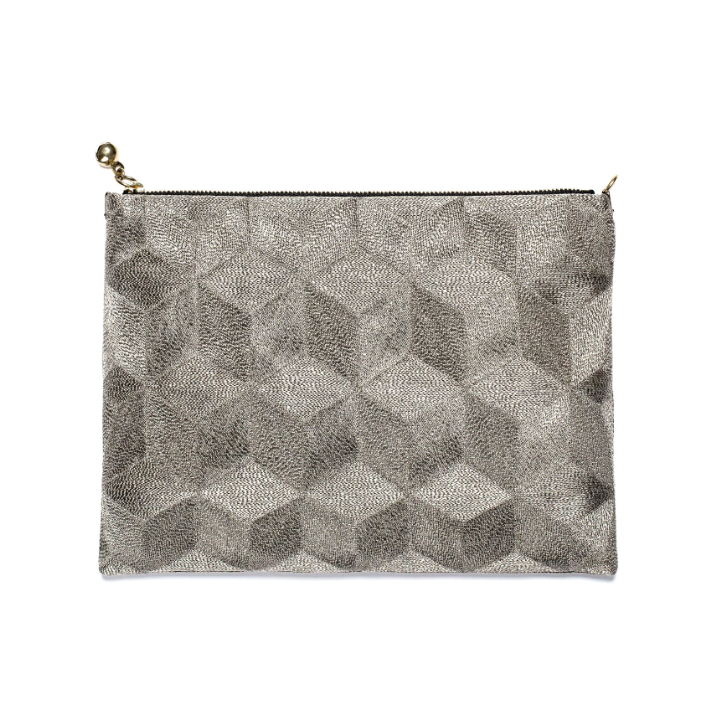 They were made from an ivory silk radzimir fabric. 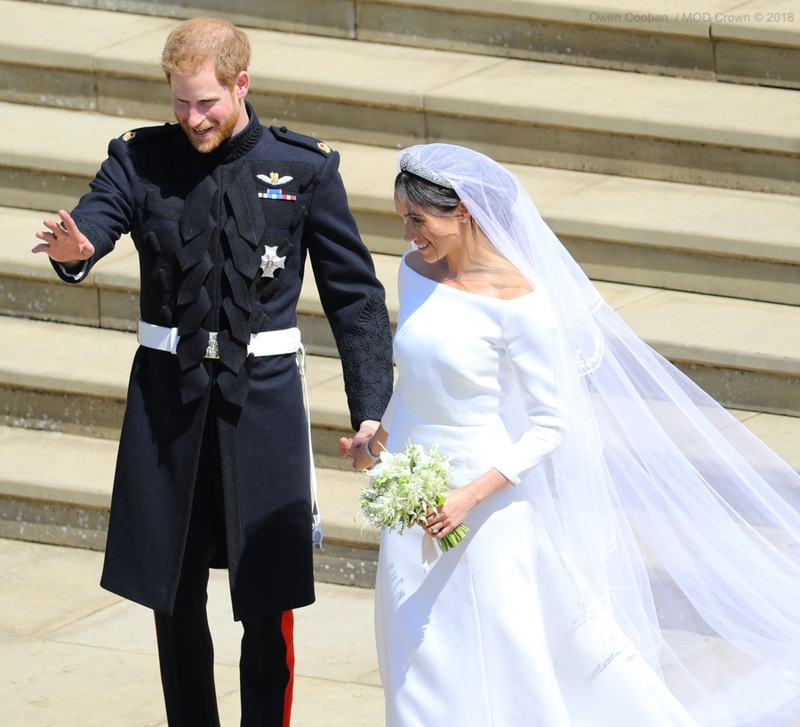 Each dress was designed to have the same “timeless purity” as Meghan’s dress. Each bridesmaid was given a pair of monogrammed shoes as a keepsake. Finally, the bridesmaids wore flower crowns featuring flowers found in Meghan’s bouquet. The Palace released details on Kate’s outfit for the Royal Wedding. They explained that the Duchess wore a “primrose yellow wool silk coat by Alexander McQueen“. Many people questioned the “primrose yellow” part of the press release and thought Kate was re-wearing the cream coat from Princess Charlotte’s christening. The two pieces do look near-identical. 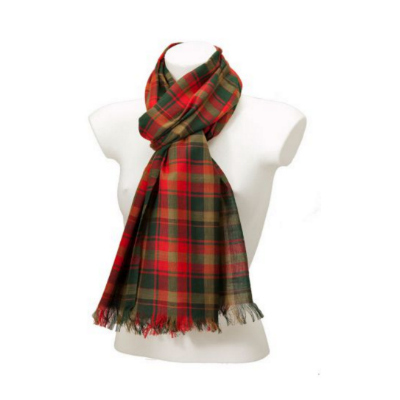 However, after extensive research carried out by fashion detectives on Twitter, we now know this is not the case. 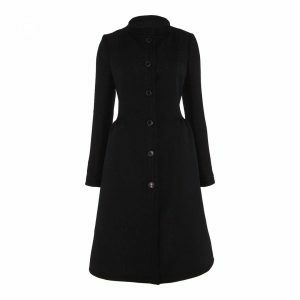 Kate’s newer coat has four buttons on the cuff (which Kate’s christening coat didn’t). There are some other slight differences too, including more pronounced pockets on the older coat, plus the darts on the bust are spaced differently. Friend-of-the-blog Michelle has lots of evidence on her Twitter page. I also think the yellow colour looked lighter on photographs on the day due to the bright sunshine overhead. 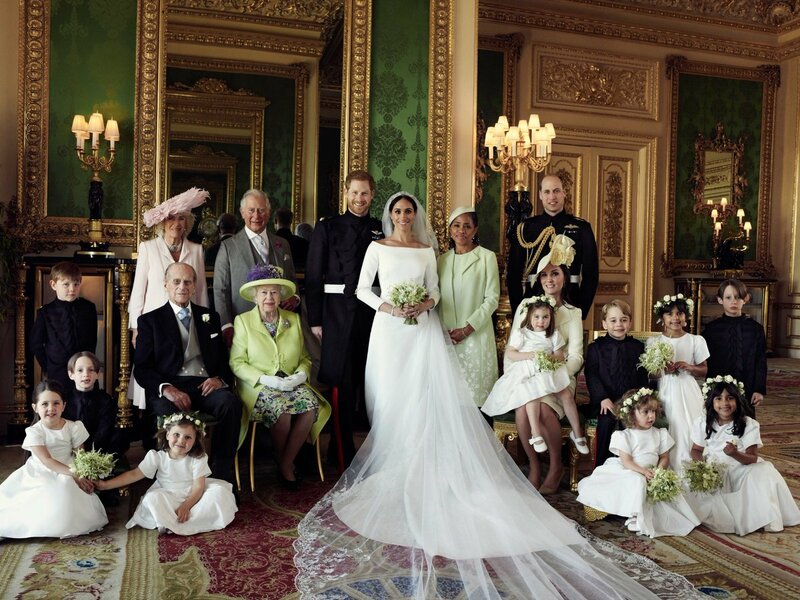 On the official photographs released after the wedding, Kate’s coat does look slightly more yellow when compared to Charlotte’s white dress. 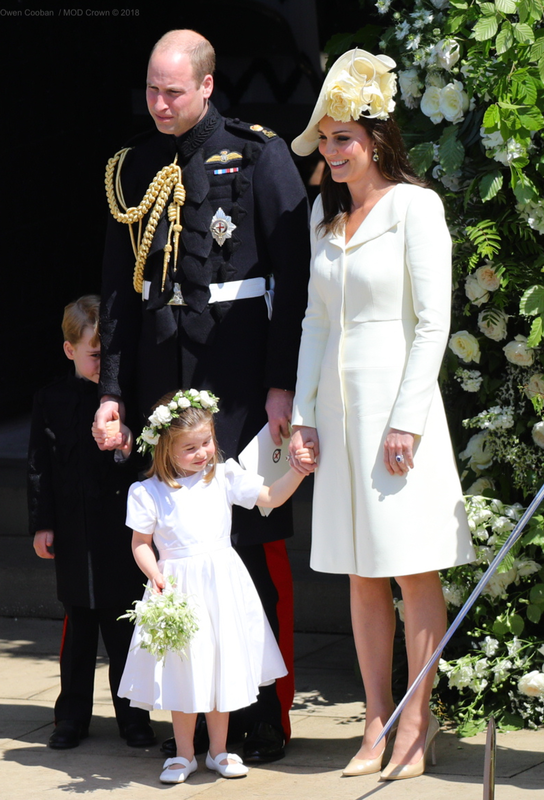 Kate debuted a new pair of shoes to the Royal Wedding. They’re the Jimmy Choo ROMY style. 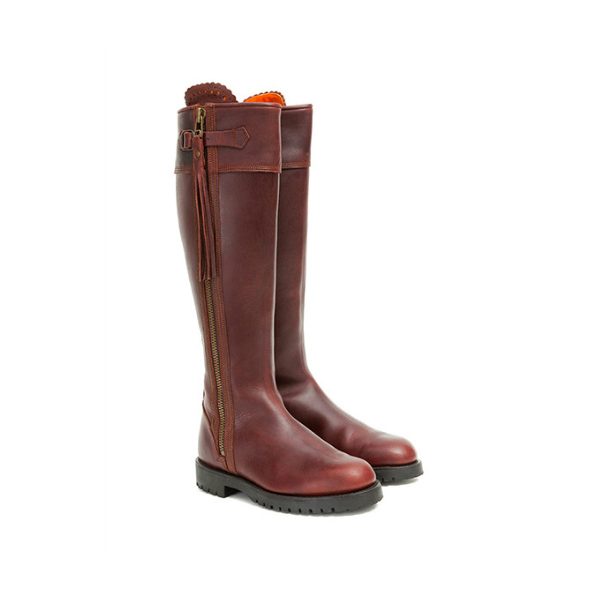 I believe Kate is wearing the 100mm / 4inch heel height, though it is hard to tell from photographs. It’s possible she’s wearing the 85mm / 3.5inch height. 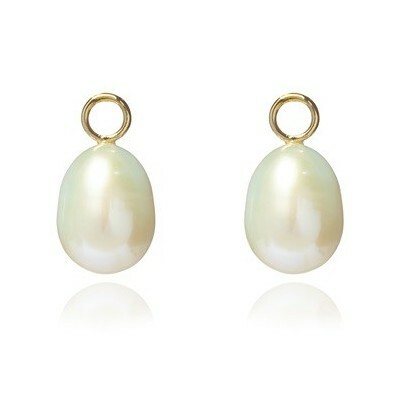 Kate’s earrings are by Kiki McDonough. I’m not entirely sure which pair she’s wearing. 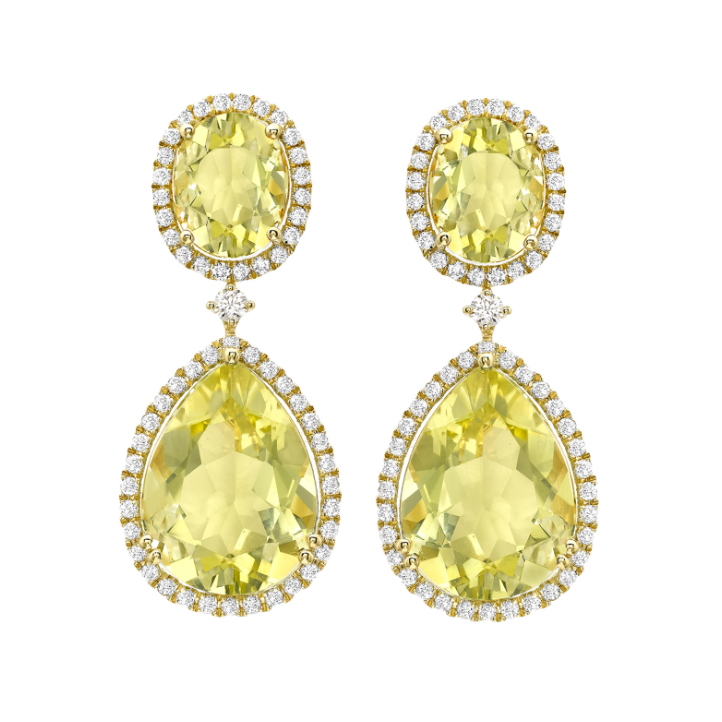 They might be similar to this pair on the designer’s website made from lemon quartz, though the top section of Kate’s earrings looks more circular than oval. Eagle-eyed Kate fans will have noticed she’s wearing a yellow ring. Unfortunately, I am not able to licence a clearer photograph of the ring. You can just see it in the photo below (on the hand Charlotte is holding). (Thank you to Susan and Charlotte for gathering and sharing this information). Unfortunately, nothing further is known about the piece of jewellery. SO MANY OF THE ROYAL LOOK REDICULOUS IN ALL THOS HAT, KATE AWAYS WARES THE PERFECT HAT. 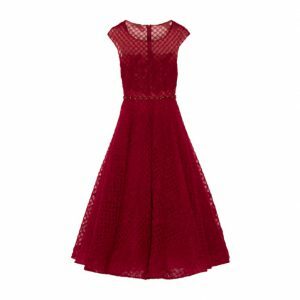 Kare sempre muito elegante e linda! She looked lovely! And that fascinator is so pretty! 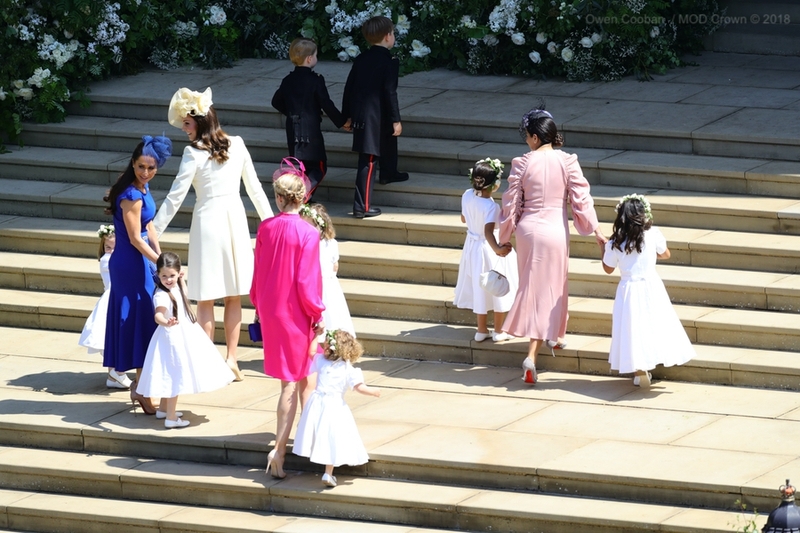 Want to add too that Carole, Pippa and so many of the guests also looked great. What’s in the air over in Britain today? Everyone’s style game was on point. Kate looks amazing! 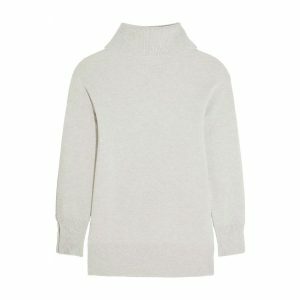 Is this actually a recycle of the cream dress or a replica in a slightly more yellow shade? Can you beleive she had her 3rd baby just a month ago? She is so trim. Kate looks perfect as always. The hat is amazing. Love the shoes. I only wish the dress was new and not recycled but I know is a very special dress for her. I love how she often keeps her wardrobe clean and tasteful. It does no’t draw attention from her natural beauty.